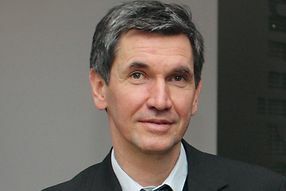 Joachim Ahrens (born in 1963) studied economics and politics. After graduating as a Diplom-Volkswirt, he gained his doctorate and Habilitation (post-doctoral qualification for lecturing at a university) at the Economics Department of the University of Göttingen. Following research visits to Harvard University, the Hoover Institution/Stanford University and the University of California/ Berkeley as well as employment with the Asian Development Bank in Manila, Dr. Ahrens accepted the offer of a professorship at the European Business School International University. In March 2006, he then switched to a professorship in International Economics at PFH. Joachim Ahrens has extensive teaching experience in Germany and abroad as well as in the field of executive education. Since March 2015, Prof. Ahrens has been Vice-President for Academic and International Affairs at PFH. What are the determinants of an effective economic policy, and why are some governments better able than others to create market-supporting governance structures? Joachim Ahrens has extensive teaching experience in Germany and abroad as well as in the field of executive education. A list of current publications can be found here.